The forest is an important natural resource for Sweden. In order to combat conflicts about how the forest is to be used and managed, it is important to take into account public opinion. Changed climate is expected to increase the risk of forest damage caused by, for example, storm and pests. The forest management strategies we use today determine the future forest development. We know that a more diverse forest with regard to management strategies and species choices will provide better resistance to damage caused by climate change. However, these strategies do not only change how well the forest can withstand damage but also the nature and appearance of the forest. For example, a pure pine forest differs in many respects from a mixed forest with deciduous trees. Knowledge of how the public views the possibility of using forest management as a way to deal with risks and damage in the forest provides increased preparedness for preventing forest conflicts in the future. The public’s perception of risks and damage in the forest was studied in a survey in three counties in Sweden; Skåne, Västernorrland and Norrbotten. The county was chosen to get a spread with regard to the type of forest and to what extent the counties have suffered from various forest damage in recent years. A total of 1026 people participated between 20 and 75 years. The study investigated the public’s acceptance of forest management strategies that can be used to prevent climate risks, but also different ways of handling damage from harmful organisms such as insects and fungies. The public exhibited support for forest prevention forest management, such as increasing the diversity of forests by creating a different age-distributed forest and increasing the proportion of mixed forests. There was also a support for dealing with harmful organisms by removing contaminated trees. But even though the public did not accept a “let-go” approach, that makes it impossible to do anything about the threats to the forest, they were not positive about all strategies.For example, the support for the use of pesticides was low. The study also gives some understanding of what contributes to shaping public acceptance for different forest management strategies. For example, the study showed that those who perceived that the forest was threatened by storms, pests, etc. considered that damage should be prevented, however, varied support for individual strategies. The relationship with the forest sector players also played a certain part in the acceptance. A higher confidence in the forest sector actors meant a higher acceptance of pesticides but lower acceptance for creating a diverse forest to prevent damage. 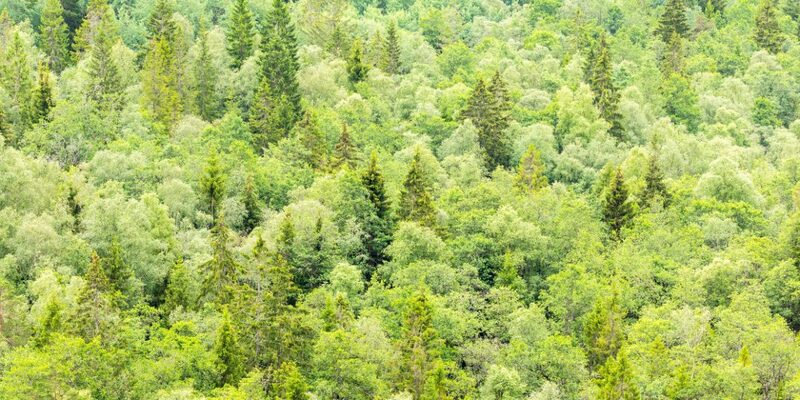 In addition, the study shows that the public tends to accept strategies that promote a forest in line with what they consider important in a forest. Like earlier studies, this study shows that the public values the forest’s environmental values, such as biodiversity but also recreational values, high. Those who considered that particular environmental values, but also recreational values were important, also tended to see more benefits of deciduous forests and showed a higher acceptance for creating a diverse forest to counter climate risks. The study thus shows that there is public acceptance to deal with damage to forests, at least in terms of prevention and less extreme strategies. In particular, however, it is an acceptance of strategies that contribute to a forest that the public values. If more extreme strategies, which conflict with these values, are used (eg pesticides), there is a risk of opposition to the public. Then it may be possible to adjust how forest management strategies are used to increase acceptance and partly to communicate with the public to increase understanding. In communication with the public, it may be useful to assume the values that the public considers important and related to how the threat can damage these values (eg environmental values), but also how the strategies used affect these values in the short and long term. Eriksson, L., Björkman, C. & Klapwijk, M. J. (2018) “General public acceptance of forest risk management strategies in Sweden: Comparing three approaches to acceptability”. Environment and Behavior 50(2), 159-186. Louise Eriksson is a docent in psychology and work as a researcher in environmental psychology at Umeå University and Kristianstad University. She examines individual drivers for behaviors with an impact on our natural environment and behavioral change in this context. Here present projects deals with forests, forest management and wildlife managemnet (e.g. gesse). Eriksson also teach on environmental psychology at the Department of Psychology, Umeå University.